We love these kinds of stories- the ones where you work really hard and it pays off in the end. Last week we got a call from a couple who had contacted us over the summer. For one reason or another, they needed to part ways with a collection of old baseball cards the husband had collected throughout his childhood. They came down for an appraisal back in June, but were not ready to sell. We spent a few hours with them looking through and evaluating the collection, determining conditions and values for each piece. After it was all said and done, they left happy and satisfied, knowing exactly what their collection was worth. To be honest, we were a little disappointed that even though they wanted to sell, they just weren't ready yet. Which brings us to last week, when they called again, and said they were finally ready. They came back down for an appointment, and we re-evaluated the collection. Everything seemed to match up as it did before, and they accepted our offer on the spot. Two things make this collection extremely unique and the story worth telling. The first one is pretty bizarre. 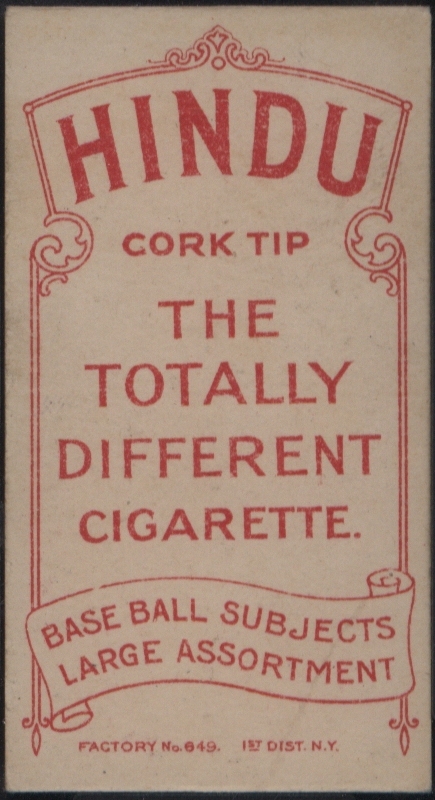 As we were going through this collection, the gentleman had mentioned that he actually had zero interest - none, nada, zilch - in baseball (or any sport for that matter), and merely collected these cards because of their “art” – he found it fascinating. From the shape of the cards, to the intricate details, to the contrasting colors, he found joy in collecting these pieces of art, and has admired them for decades. Not only did he collect baseball cards, but he also collected non-sports cards, including a ton of 19th century actor and actresses cards like Old Judges, Virginia Brights, S.F. Hess, Admirals, and Cross Cut Cigs. His baseball portion of the collection ranged from T206 & T205 tobacco cards to a near-set of 1955 Bowman Baseball (he loved the “wood grain tv” look). I can't stress it enough, how little interest he actually had in baseball cards, yet he collected hundreds and hundreds of them. And to be fair, he also wasn't paying a premium for them as you would today, because he had gotten them before the T206 market exploded a few years back. The second thing that makes this collection stand out is the fact that the couple had no idea what the collection was actually worth, and unaware of the scarcity of some of the cards – which is exactly the reason we started doing free appraisals. Everyone deserves to know what their collection is actually worth, without feeling cheated or misled. We take great pride in providing the best service in the industry, in giving honest appraisals of vintage sports card collections – free of charge. One card in particular highlighted the entire collection, and they had no idea of its scarcity. Let me introduce you to Mr. Mordecai Brown, featuring a Hindu Back: There have been well over 200,000 T206's that have been graded by PSA & SGC, and less than 1 percent have this scarce, Hindu back. Now, the Hindu backs come in two colors, red and brown, with the red being even more rare. 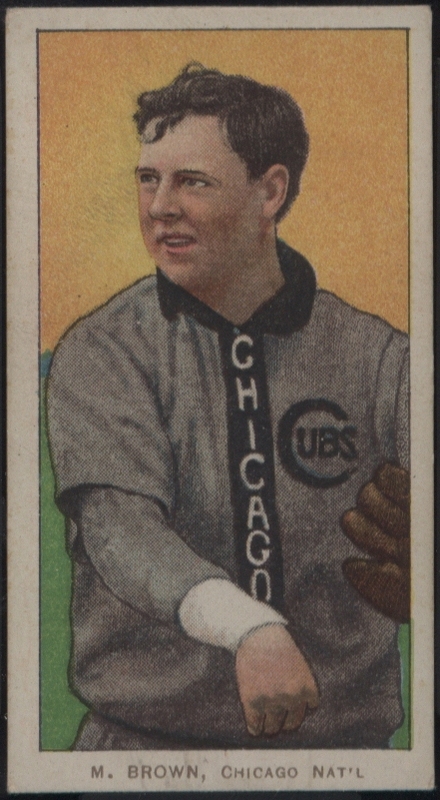 This example features the Hall of Famer with said Red Hindu back, with the “Chicago on Shirt” variation. There are only 4 other known examples of this specific card in existence! What a find! There were also some other "tough" backs in the T206 part of their collection, including a few Old Mills and also a Broadleaf back of Hayden. The collection also included some nice T205 Gold Bordered cards, as well as some difficult to find Strip Cards. As mentioned before, they also had a bunch of non-sport cards that are also pretty rare, and if they were sports cards, they would have significant value, but the demand for baseball cards is so far more than that of non-sports cards – even with the scarcity. The 1955 Bowman near-set was also a pleasant find, as it included the era’s iconic stars in Mantle, Mays and Aaron, while also having some nice condition commons. Most of which we will be sending out for grading, and will have up for auction in the next few weeks. Overall, this was a pretty sweet deal for both parties, as we were able to purchase some great material, and the couple left our facility happy. Even though it’s the end of the year and most people and companies are taking it easy, we are still in full beast mode, trying to buy sets and collections like this every single day. So, if you have a vintage card collection that you are looking to sell, please give us a call and we’ll give you a free appraisal, and will also be able to make you a fair, competitive offer. Happy Holidays from everyone at Just Collect! We wish you a happy and healthy New Year!